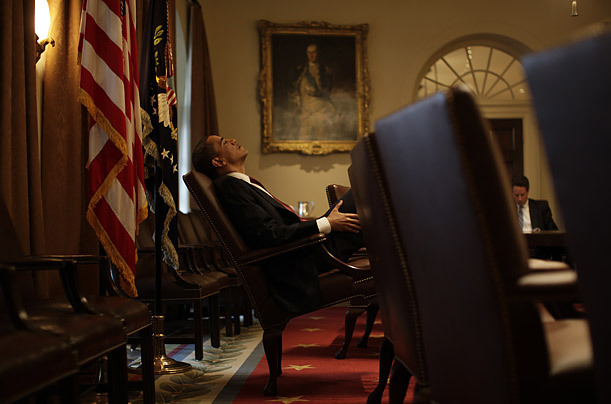 I am aware of two things in posting these shots of Obama’s first 100 days in office. I am at risk of over-inundating this blog with photos recently. Substantial posts coming folks! Some sort of political statement blah blah. These shots by Callie Shell, a Time photographer, are stunning. The full gallery can be viewed by clicking this link. 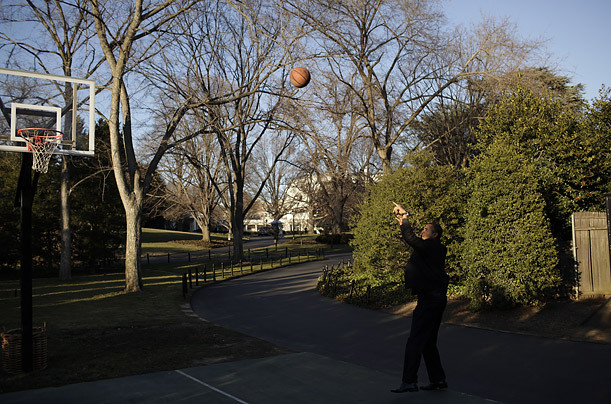 I unashamedly am intrigued by how normal Obama seems (His jump shot seems spot on! He picked Carolina in the tourney! 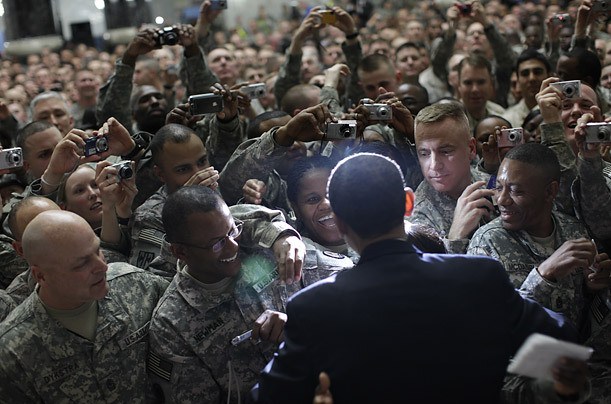 ), and these photos prove it. And I agree with DJ Holloway that The West Wing is the greatest written TV show EVER. So, I love the behind the scenes stuff that makes me realize that the people governing our country (and influencing the world, for good or bad), are normal people like us. 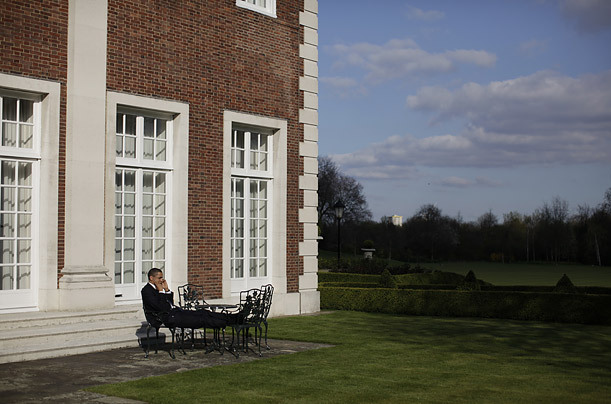 The President taking a cell call sitting on his back porch? I do that! The inside of Air Force One looks like the inside of a building. 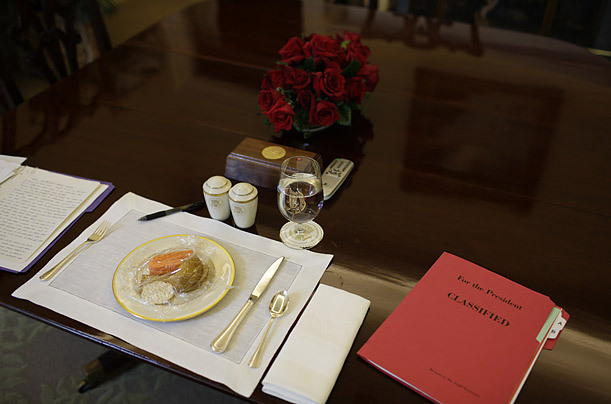 Our White House is beautiful in a castle-like way – and yet it seems appropriate for our president. I bet it’s still weird for him sometimes when he looks around and see where he is!